York gives the impression that it has thought hard about how to make owners and spectators happy. I usually travel to York races on the train but this year took the car to the busy August festival. The owners car park is organised for quick entry and get away. Kim Bailey writes about how he’d like to see this introduced for owners car parks at UK racecourses. I can see why as it works very well. The owners building at York is brilliantly positioned, with a balcony that on one side overlooks the paddock and on the other the finishing line. You couldn’t wish for better viewing. The dining room is excellent – food is close to Ascot standards, albeit you have to pay. Canny Yorkshire folk. But I don’t mind at all – it’s good value. The owners bar was very busy. By mid afternoon sitting/standing outside was a more comfortable option, but with it being York’s August festival it’s understandable. York possesses a charm few courses in the country can match and it is a pleasure to own/part-own a horse running at the course. Wincanton states in the letter you receive when your horse is entered for a race at the course that “our owners facilities are some of the best in Jumps racing”. Hmmmmmm – they need to get out more. With a few minor changes they could be, but they aren’t there yet. There are usually queues for owners badges on arrival, the owners facility is very crowded with nowhere to sit and there are long queues for food. The ‘hot local pie’ on offer was, sadly, passed over due to the queues in favour of wanting to see some racing. Views of the finish are good from the owners bar, but then you have to face the scrum inside to get a drink or go to the paddock. It’s interesting that Wincanton has an arrangement that ROA membership gives you access to the owners facility. I’m not an ROA member. I know Rachel Hood, ROA Chief Executive would find this ‘extraordinary’, consider it because ‘I’m not sufficiently immersed in racing‘ or wish to ‘free ride‘ on the efforts the ROA makes on behalf of owners. She wrote as much in the July 2012 edition of Owner Breeder magazine. Maybe that article was a parody and I’m not in on the joke. What I do know is that if racecourses such as Wincanton, with capacity constrained owners facilities, have arrangements with the ROA so that its members can use those facilities even if they don’t have a horse running, and that usage detracting from the experience of owners with runners on the day, those racecourses and the ROA are doing a disservice to those owners that do have runners and, in the long run, to all owners. In Wincanton’s defence the Clerk of the Course has stated its badge arrangements with the ROA are being reviewed and they are also looking at how to alleviate the overcrowding and queues. A few minor changes here and there and Wincanton could be miles better. Sedgefield looks after owners. Decent food in the owners bar, plenty of places to sit and a jolly atmosphere. The course itself is the epitome of weekday National Hunt racing. Viewing is ok, but none of the stands have the height to make it exceptional for anyone. If you’re lucky enough to have a winner you are looked after very well with a photograph of your winning horse in a frame presented to you within short order of the race having finished. A nice touch. You’d think on a rare sunny day in February that three people sitting on a deserted set of steps each drinking a cup of tea wouldn’t raise an eyebrow. When those steps are outside the owners enclosure opposite the winning post at Huntingdon racecourse it’s an occasion for the security guards to move in. Apparently the health and safety risks were too great for us to continue with our reckless tea drinking. No matter the tea was in a pathetic little paper cup with a sad teabag bobbing up and down within it – the spillage risk was too great for Mr & Mrs HiViz to bear. You’d think a featureless racecourse next to a motorway that doesn’t have a fixture list to set the world alight might want to differentiate itself as a course based upon, say, friendliness, or facilities, or, I don’t know a decent hot meal, or tea served in china cups, or something, anything (!) that suggests a bit of effort. No chance. Huntingdon fails and fails badly. I can only imagine that Huntingon and Newbury raceourses are twinned. 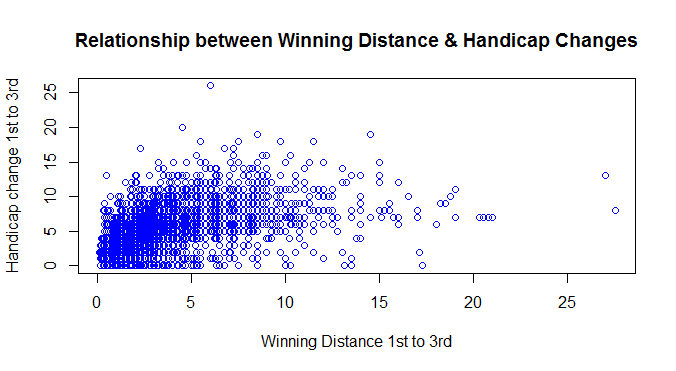 Huntingdon is a course to avoid as an owner. Goodwood has plenty going for it as a racecourse. A wonderful setting and home to the fantastic Glorious Goodwood festival. 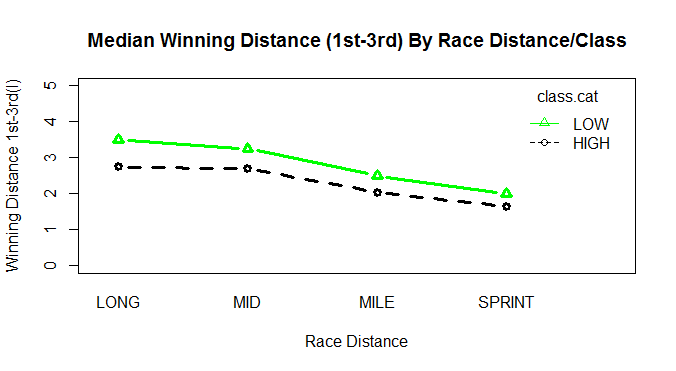 The amount of racing gives many owners a shot at having a runner there. Plus the course hasn’t messed things up as it has expanded – certainly not for owners. The views from owners seats at Goodwood is the best of any racecourse in the country. The owners pavilion is stylish with an excellent choice of food, and whilst it gets busy service is good. Food and drink isn’t cheap, but it hardly seems to matter. If you grab a table paddock side on a sunny day, where else would you rather be? The best owners experience in the country. Whilst there are some aspects of the new stand that don’t quite work as well as they could – too much space between the paddock side and track side in the interior of the stand, sight lines in some places that aren’t perfect, the interior too hot in the Summer, too cold in the Winter, these are minor quibbles. Ascot probably receives some criticism because it is the flagship track in the country with the highest standards expected. By contrast Cheltenham, given its facilities, gets away with little criticism. The Ascot owners facility overlooks the pre-parade ring, an inspired placement on the part of the architects team that were responsible for the re-design of Ascot. The owners facility is in two parts – a bar and a dining room. The food in the dining room is a wedding style buffet. Top quality – and free to boot. The wine list has some gems, too. The bar next door is very comfortable and has large picture windows that open to allow you a view of the pre-parade ring.In the stands owners viewing isn’t quite opposite the finishing post but is close enough. Organising badges, and for Royal Ascot, paddock passes, all very easy. The staff were friendly, efficient and welcoming. Going racing as an owner at Ascot is a pleasure. I’ve also had the good fortune to be part-owner of a horse that won at Ascot. There were plenty of families with young children in our party, and winning connections were made to feel entirely at home, even in spite of the impromptu creche that had been created. Hats off to Ascot. ARC, owners of Bath, have started to make more of an effort with owners, and things have improved noticeably in 2013 versus previous years. It’s still tough to get a seat in the owners area, but the food choice is much improved with a separate, albeit somewhat soulless, dining room at the back with a decent choice. The paddock area is close by, and whilst I don’t recall an area for owners viewing it’s never a problem to find a spot in the stand with both a decent view of the course and close to the finishing line. I hope the redevelopment of Cheltenham results in an improvement in it’s owners facilities. Whilst the food on offer in the temporary marquee was decent enough, the large round tables mean you feel as if you are at a large wedding where you don’t know many guests. The owners bar is placed down near the 1f pole and is reminiscent of a 1950’s pub gone to seed. Owners viewing isn’t great either, further from the finish line than ideal – I’d choose to stand nearer the finish where the viewing is better. For many people the pleasure of having a runner at Cheltenham outweighs the owners experience. I remember going to watch England play at Wembley in the 1970s. I didn’t notice the facilities were rubbish because of the wonder of being at the match. I wouldn’t put Cheltenham in the rubbish category, but as the home of jumps racing its owners facilities should match those on offer at Ascot. Oh dear. An excellent racecourse with clueless management and inefficient, officious staff. I’m of the view that the quality and behaviour of a management team in a business is reflected in the attitudes of its staff towards customers, and in the case of Newbury I hope the current search for a new Chief Executive results in an appointment from outside the current management team. Whoever is appointed can then, hopefully as a priority, sort out the treatment of owners and customers. There is also an atmosphere at Newbury that contrasts with that existing at the majority of other racecourses in the UK. It may have something to do with the cavernous Oktoberfest-style drinking halls, both permanent and temporary, that exist. A re-design of these may improve matters here. My last visit as an owner to Newbury suffered from the following: queues for owners badges, no record of e-mail requests for badges at the owners desk, with questioning from the staff that suggested it was my fault they hadn’t read the e-mail, paddock stewards intent on preventing my teenage sons from entering the paddock with me, officious stewards at the owners facility, an uncomfortably crowded owners facility with no space to sit down, queues for drinks at the owners bar, and a long wait for food orders – we gave up and went to the on course fish and chip shop, where the food is decent and the service exemplary – in contrast to that experienced almost everywhere elsewhere on course. To put the tin hat on it our car was broken into in the owners car park. More security staff in the car park rather than acting as the fashion police might help here. Newbury is a racecourse that benefits from an excellent fixture list and proximity to Lambourn. Good horses end up running at the course almost by default. The racecourse ought to be able to turn these benefits to its advantage. Yet it is a business which has lost money 4 years in the last 5 with no growth in turnover and attendance figures described as disappointing by the Chairman in reporting on its interim results last month. Whilst these might be problems generic to racing, it is also a course that unlike others has had problems with mass brawls, fines for under-age drinking, the placement of concert stages for music nights so that viewing of the home straight is obscured, and horses being electrocuted in the paddock. The latest dress code furore can be added to the list of pratfalls that appear to be the speciality of Newbury’s management team, which doesn’t appear to have made a connection between disappointing attendance figures, imposing a dress code and poor customer service. At the moment a course to avoid as an owner. Wolverhampton offers decent facilities for owners. There is a good sized owners bar/room, decent hearty food on offer with viewing of the paddock from one end of the room and viewing of the track from the other. 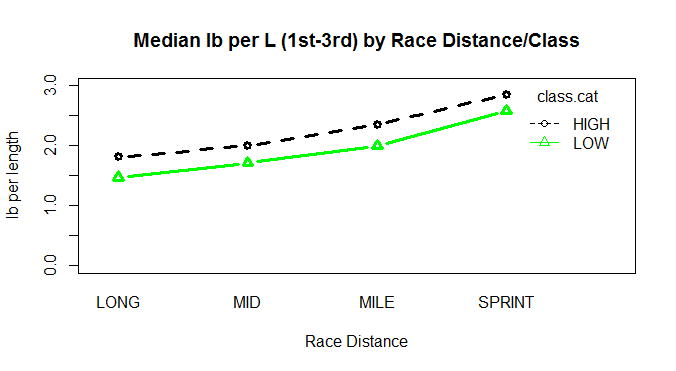 So why don’t I look forward to having runners at the track? It’s probably because the whole is so much less than the sum of the parts. There isn’t much of an atmosphere and the racing doesn’t inspire. But that is more my problem than that of the track – but in terms of being looked after, Wolverhampton does a decent job for owners. In the last week Nicky Henderson complained about the programme for Novice Chasers, his comments culminating with the line “And that’s why there will be no chasers in three or four years time” . A forthright summary of his comments can be found on Dan Kelly’s excellent blog here , which firstly covers the ongoing concerns about the Betfair Chase distance, then moves on to the Novice Chase programme in the context of Nicky Henderson’s comments. So leaving the programme book aside, how does the pipeline of high class horses going Novice Chasing look year by year? Using Racing Post Ratings (RPR) the number of horses rated above 145, 150, 155 and 160 is given in Table 1 below for each of the years 2008-2013 inclusive. To qualify horses must be with GB based trainers, never have run in a Chase, achieved the rating at a GB track and have run within twelve months of the end of April of each of the years considered. These filters are designed to capture high class Hurdlers that are candidates for Novice Chasing. The filters will include Hurdlers that won’t go Chasing, and excludes recruits to Novice Chasing from overseas, so the list isn’t complete. Still, these effects should be the same year on year and not affect a year on year comparison. Table 1 shows the pool of candidate horses has varied between 46 and 70 in the last six years, with no clear trend. The numbers for 2013 suggest a healthy pool of candidate horses for Novice Chasing relative to the recent past. 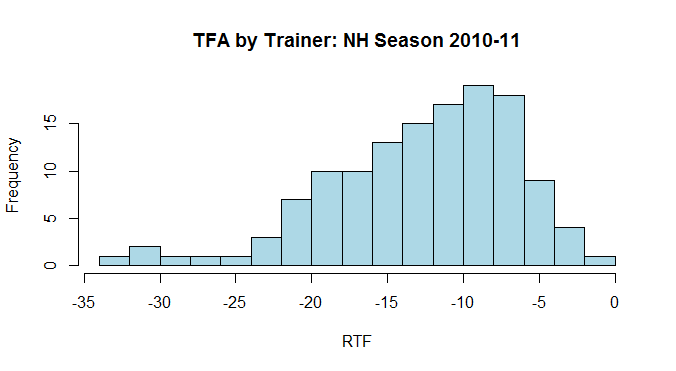 Using horses rated 145+, how has the concentration of horses by training yard changed over the last six years? Table 2 shows the number of training yards that have 1 only, 2 to 5 and at least 5 high class Novice Chase candidates. So in 2008 17 yards had one candidate. In 2013 there were 19 such yards. No real pattern exists year by year. However it is in the yards with at least one candidate that the picture has changed. In 2009 there were 11 yards with 2 to 5 candidates. By 2013 this had dropped to just four yards. 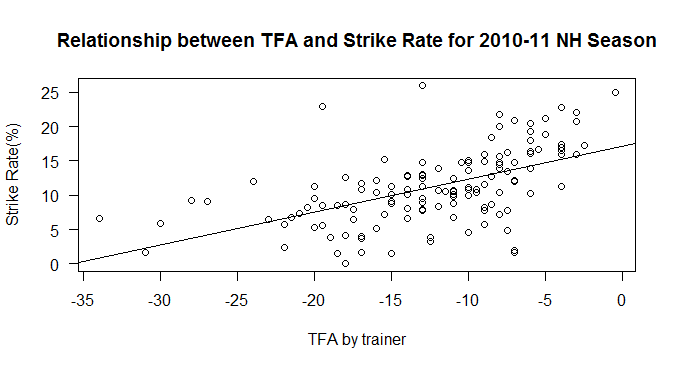 The view that high class Novice Chase candidates have become increasingly concentrated at the largest training yards is borne out by the data. 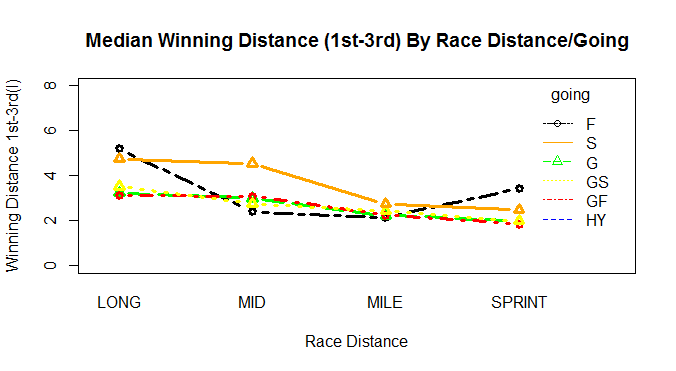 Table 3 shows the same information but represented by total number of horses. The number of candidates in 2013 at smaller yards is the lowest it has been in the last six years and the number in the larger yards the highest. Increasing yard concentration exists. The falling field sizes in Novice Chases cannot be blamed upon the number of horses that could go Novice Chasing. Candidate numbers are healthy. So either the programme book or yard concentration is to blame. The changes made to the Novice Chase programme in the last year or two should have led to an increase in field sizes. The only explanation for their falling in the 2013-14 so far is the refusal of the larger yards to race their best horses against each other. The campaigning of horses is largely a matter for the trainers and their owners. However, if the BHA react to the concentration of the best horses in a few yards by making changes to the programme book to reflect campaigning realities, it is difficult to imagine this leading to a dearth of Novice Chasers in a few years time. Some trainers would argue that Novice Chasing is different from Novice Hurdling and their concern is primarily one of horse welfare. The first implication is that anyone arguing the opposite position does not have horse welfare at heart. Not a position anyone wishes to inhabit lightly. The further implication is that a series of uncompetitive races should exist so that high class horses can learn the ropes. This will then benefit their long-term career, which, in turn, benefits racing. Perhaps to address both small field sizes and welfare concerns a series of zero prize money Australian style ‘Barrier Trial’ Novice Chases at racecourses could be introduced, with the full cost of hosting these races borne entirely by the owners. No handicap marks would be awarded and no betting available. These trials would allow for legitimate schooling in public in near race conditions. Lowly handicapped horses could take part knowing their handicap marks will be unaffected, better horses could make their own way home, learning the ropes as desired by trainers. The quid pro quo would be that the Novice Chase programme would be further reduced. Welfare concerns are addressed by the existence of Barrier Trails, whilst field sizes in Novice Chases would increase because of the reduced number of races, improving the viewing spectacle for the racing public. Yearling Sales vs. Breeze Ups: Where Should You Buy? There are two options for buying racehorses with a flat campaign in mind – the Yearling Sales or Breeze Ups. At the Yearling Sales, which take place in the Autumn, horses are sold unbroken, wheras at the Breeze Ups, which take place the following Spring, part of the sales process is that the horses catalogued breeze for 2 furlongs. Breeze times are used by many as an input into their buying decision. Breeze Up sales have their critics. Young horses being pushed too hard, too young, with a preparation that instills poor habits (‘boiled brains’), horses do not train on and are more prone to a lack of soundness. Added to that is a perception that horses sold at the Breeze Ups are expensive for what you get. There also exists the perfect totem for Breeze Up critics – The Green Monkey, who breezed in sub 10 seconds, was bought for $16m by Coolmore and never won a race. So is what happened with The Green Monkey indicative of what happens with many Breeze Up graduates? Or can a variant of Godwin’s Law be invoked, so that anyone who mentions The Green Monkey in a discussion regarding the merits of Breeze Up sales has automatically lost the argument? In this blog post the graduates from Tattersalls Yearling Sales from the Autumn of 2011 are compared with the graduates from the Spring 2012 Breeze Up Sales that took place at Kempton (Ready to Run), Tattersalls Guineas, Tattersalls Craven and DBS. 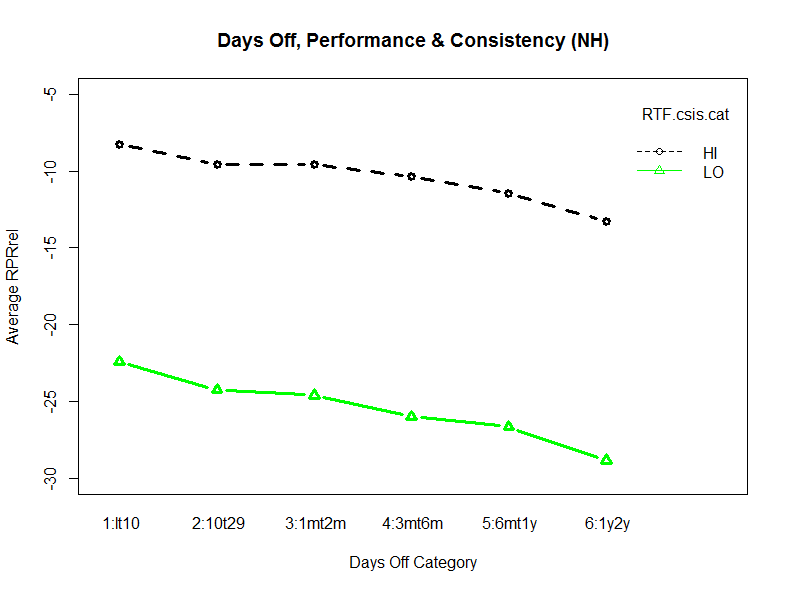 Racecourse performance is compared, along with prices paid. 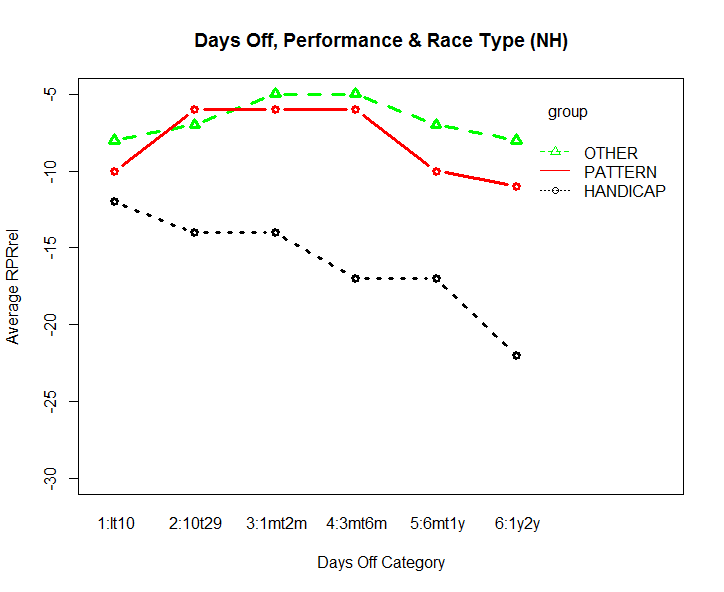 The analysis that underpins this piece was carried out in the R statistical environment accessing Raceform Interactive (RFI) data. 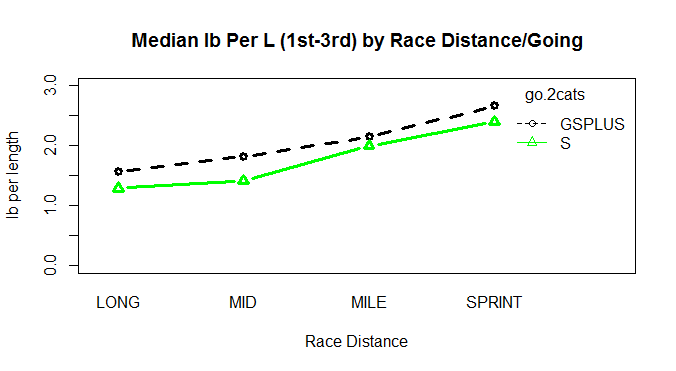 This is the same data used by the Racing Post. 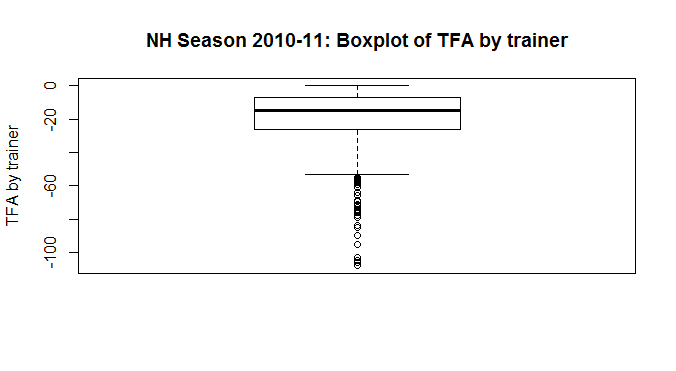 Sales information and racecourse performances (wins, runs, ratings) for the 2012 and 2013 flat seasons were collected. For analysis of racecourse performance horses were categorised as coming from either yearling sales, or breeze ups. Horses that sold at more than one sale were placed according to the category of the latest sale. Table 1 shows the number of horses in each sale category and the number of horses that went on to compete in a race. the appearance rate for Breeze Ups is 72%, higher than that for the Yearling Sales. 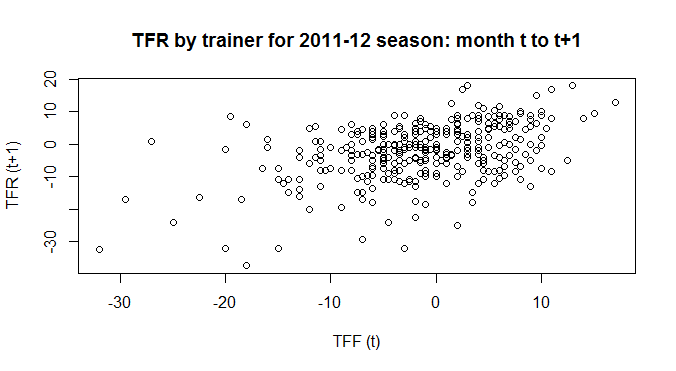 The underlying data is from RFI, which records all GB and Irish racing and higher grade overseas races. Sales graduates that raced overseas at a lower level will not be included and so there is a degree of under-reporting in Table 1. It is possible the Yearling Sales would be more affected by this than the Breeze Ups when overseas buyers are considered, even taking this into account there is little evidence that horses prepared for Breeze Ups are less likely to reach the racecourse. 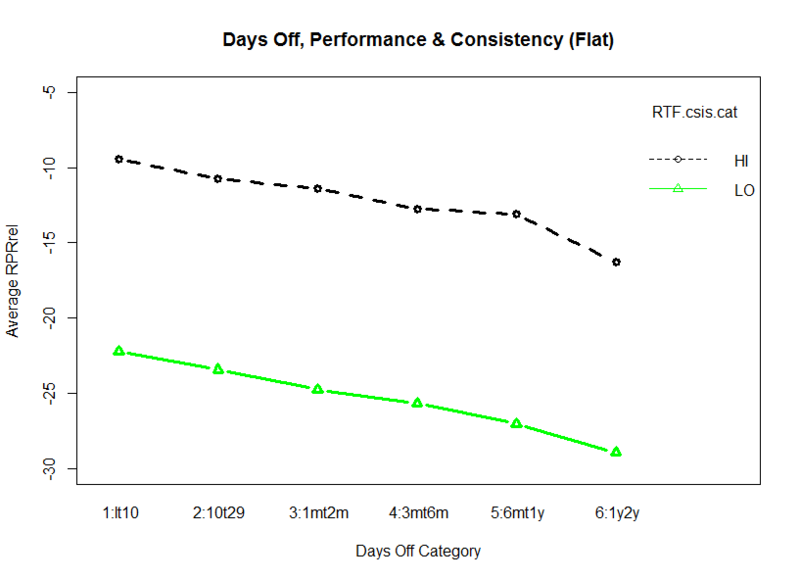 The withdrawn columns show the numbers/percentages of horses that are withdrawn from sale but subsequently race. The withdrawal rate is twice as high for Breeze Ups. Because horses have to do more at the Breeze Ups than the Yearling Sales, it is not surprising a higher withdrawal rate exists. Consignors do not wish to jeopardise the sale value by sending horses to the Breeze Ups that are not ready to do themselves justice. Table 2 shows the number of horses that were sold by category, as well as median, average and maximum prices. Sales exclude vendor buybacks and horses not sold, and the yearling sale numbers exclude those horses that went on to be sold at Breeze Ups. The median sale price was £38,000 at the Yearling Sales and £30,000 at the Breeze Ups. Averages and maximum sale prices were also higher for the Yearling Sales. These numbers exclude any saving on training fees that accrues from buying ca. 6 months later at the Breeze Ups. Table 3 shows, for each sale category, the median of the maximum rating achieved by each horse over its racing career in 2012 (2 year old) and 2013 (3 year old). Medians are also given for ratings achieved first time out, and considering the racing career in 2012 as a 2 year old only. The results for Yearling Sales and Breeze Ups are very similar. At the end of their 2 year old career ratings are both 69. At the end of their 3 year old career they are both 74. Horses sold at both types of sale are of similar quality and progress similarly from age 2 to age 3. Ratings for first time out runs are lower for Breeze Up horses at 57.5 versus 60 for Yearling Sales graduates. This is an unexpected result. Breeze Up horses progress further from their first run to their maximum than horses sold at the Yearling Sales. 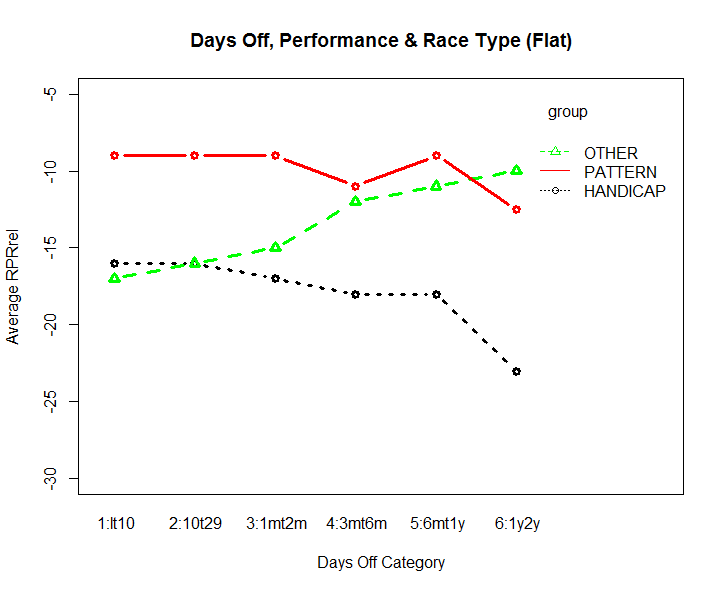 The difference isn’t large, however the view that Breeze Up horses are as ready as they can be for racing isn’t borne out by the data. A possible explanation is as follows: Breeze Up consignors are concerned to get their horses to the sales, not wanting them to break down, as a result they veer on the side of caution and under rather than over prepare their horses. When these horses arrive with trainers, they fear the horses have been over prepared, given the reputation that exists for Breeze Up graduates, and the horses are trained more cautiously than Yearling Sales graduates that have been in their charge for longer. The end result is that Breeze Up graduates post lower ratings first time out than Yearling Sales graduates. 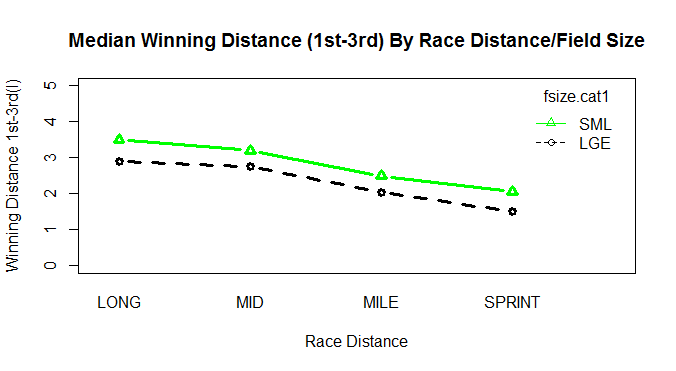 Win rates for Yearling Sales and Breeze Ups are similar, with 58% of Breeze Up and 55% of Yearling Sale graduates going on to win races. The number of runs per horse is higher for Breeze Ups graduates. 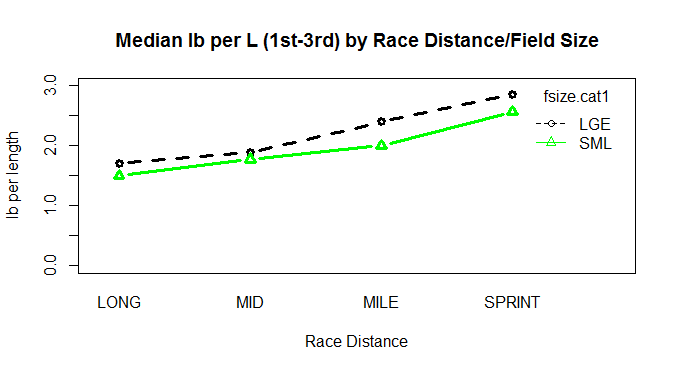 The difference is 1.2 races per horse when all races as a 2 year old and 3 year old are considered. It is possible that the Breeze Up preparation selects horses that are able to withstand racing, and buyers are able to identify these horses at the Breeze Ups. There is little evidence that the criticisms levelled at Breeze Ups are justified, with both types of sale offering opportunities to buyers.